As many of might now, i do create videos and i have used different pieces of video edting software to achieve this. 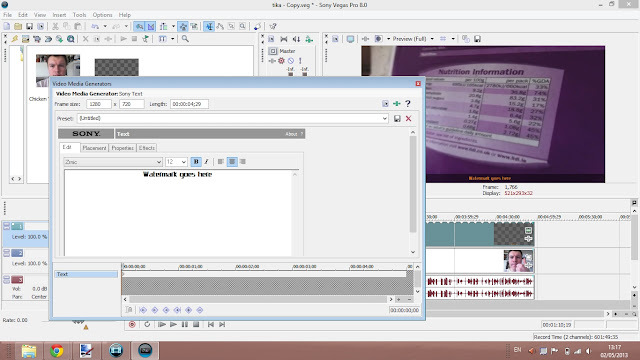 One of the software i have used is from Sony Creative Software which is Sony Vegas. Now i have been using Pro 8 for many months and i've gotten used to the way it works and its features. Now recently there was an offer for a more consumer version of the Sony Vegas franchise on offer for £19.99 Inc VAT. This is a really good value deal consider Sony have the RRP (Recommended Retail Price at £69.95. I decided to purchase it after arriving home from work on Monday (29 April. 2013). The back of the Movie Studio Packaging. Includes an image of the interface, Shows the tutorials feature and the system requirements down at the bottom in different languages. 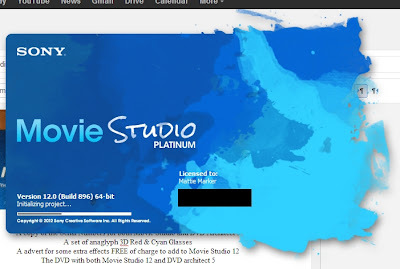 The packaging looks good and easy to read and understand the basics of what Movie Studio can provide your videos with. As well as this, the System Requirements are quite basic but can be quite demanding if you are using an older laptop or desktop. I'll list them down below from the Sony Website. Now the layout is very familiar which makes it easier for me to edit my videos, the options are still in the same places, which means i can apply the same techniques to my videos with ease....or so i thought. This is the Event Pan/Crop window. This allows you to apply croping and adjusting the clip to any aspect ratio. 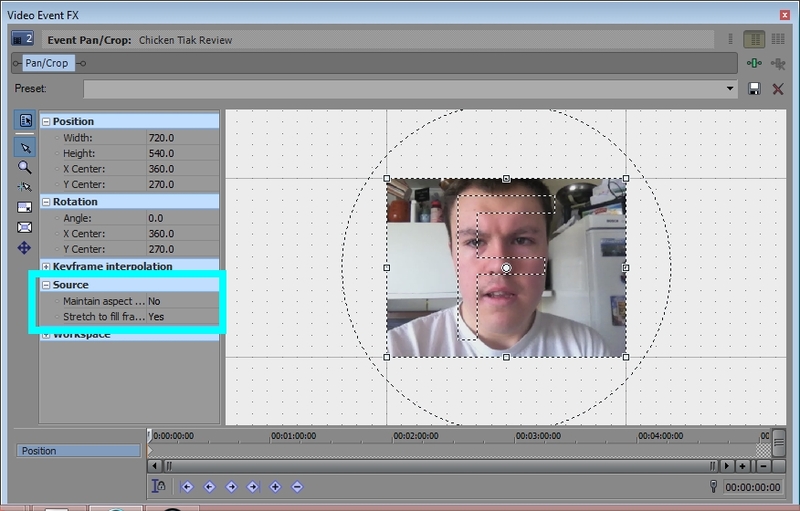 This is also incredibly useful for filling out a 4:3 clip to 16:9. The text feature in Vegas Pro, much simpler with tabbed options and it shows how the text is applied on to the video itself, with a nice translucent boarder to make it easier to show off the video and make the text clear. However, in Movie Studio. The same features are there and some new ones but the layout has changed which personally is harder to navigate and some i have yet to learn or master, but you can see the new layout down below, even the options allow you to have 1,2 or 3 columns to help navigate. The text features in Movie Studio is more advanced but looks more clunky and not as nice to navigate. But the features are still the same although harder to find in some cases. 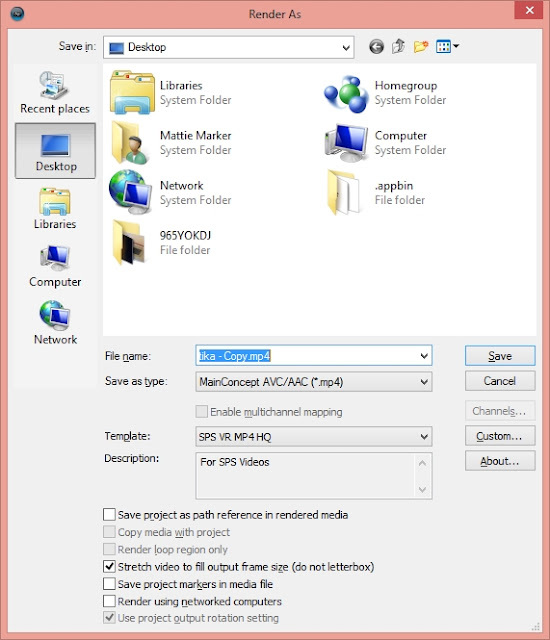 Although its easier to save it as a preset to help save time. 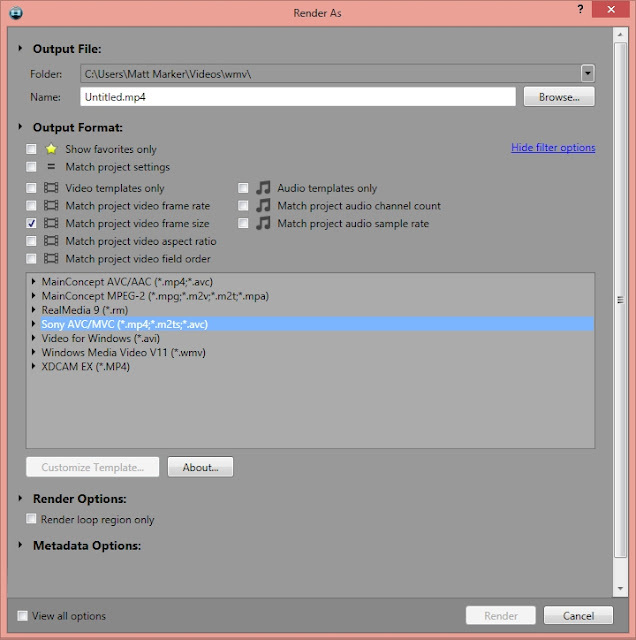 Now there are less video effects than in Vegas Pro (40 less than version 12) but with 350 effect to choose from, that should give you a slight advantage with choosing the right effect and the right moment. The effects are like text and can easily be dragged and dropped onto the timeline. This can be handy if you want to give your viewers a nice bit of creativity to add to a scene you've filmed or just when you kill someone on a FPS game video (yes like those PWNING NOOBS videos regarding Call of Duty and Battlefield games). Now the next stage or final stage i can comment on is the Rendering. With Vegas Pro 8, all i had was CPU rendering, which although its nice on a Intel Core2Quad Q8300, it still might not be as fast as using a Graphics Card. 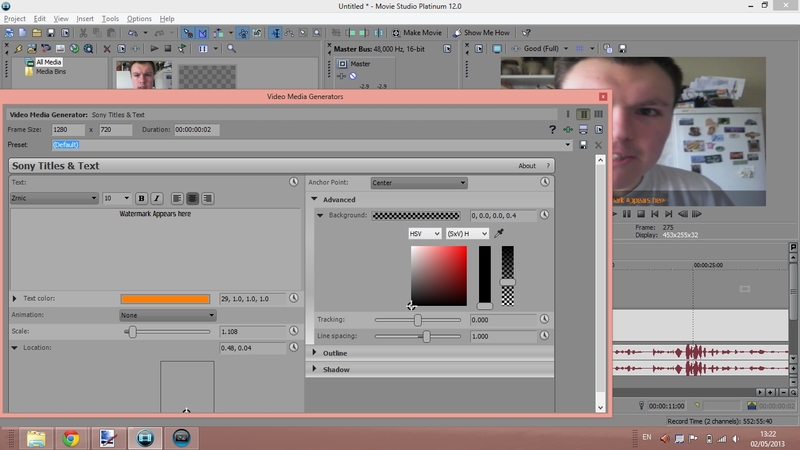 But thanks to new technologies, its now possible to let the GPU render the video. 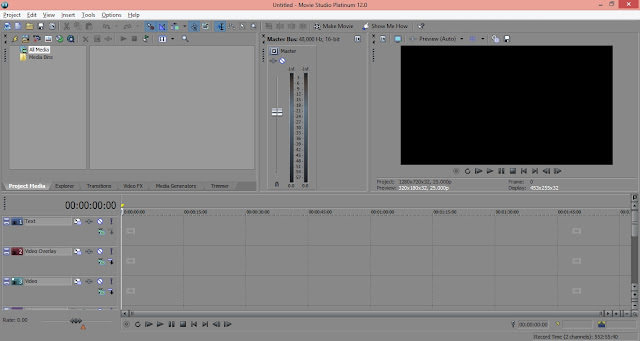 The Render window in Vegas Pro, its nice and simple. This is the Render Screen in Movie Studio. The layout simplified, but bigger and more options you can choose from and also the options are filtered out to what your project supports if you choose to filter them. Now rendering is the same speed i feel with both Vegas Pro 8 and Movie Studio 12. The time it had taken for Movie Studio to render a 720p 25FPS video of a flash game i had recorded footage of using Dxtory was about 10 minutes. The quality however was incredible. The video was at a 2mbps bit rate and looked crystal clear. This was using the Main Concept AVC/ACC format and rendered at best settings. If i had used other settings, the OpenCL rendering would of been much faster, but that will be a trial and error i can experiment with later on with using Movie Studio more often. In conclusion i rate Movie Studio Platinum 12 a 4/5. It works nicely for the value of £30 (even better with the current offer) and provides all the features i have used in Vegas Pro 8 and extras i might use in the future. It feels and works mostly the same which allows you to work the way you might be used to. But as amazing as it works, there are downsides like not being able to open Vegas projects and the text editor layout being different. Well worth the buy if you want to improve your videos whether it be for Youtube or just a family DVD.